Having a properly functioning air conditioning system is one of the most important features for homeowners throughout the Longview and Tyler, TX areas. To keep your air conditioning unit efficient and dependable, even during the hottest Texas summer afternoons, trust the professionals at A/C Contractors to perform routine air conditioning maintenance at least once every year. With our preventative air conditioning maintenance and meticulous system inspections, you’ll have lasting, reliable comfort along with professional, helpful technicians, free estimates and product and service guarantees. To have effective and reliable cooling during the blazing Texas summers and when needed year-round, it’s crucial to have your home’s air conditioning system properly and regularly maintained by a professional. Over time, your air conditioning system will accumulate dust and debris that can negatively affect its performance and potentially cause expensive damage. If you can’t remember the last time your A/C unit was inspected by an air conditioning technician, then it’s likely time to schedule services with the certified technicians at A/C Contractors. Improved Energy Efficiency: Air conditioning systems operating at peak performance without clogs or debris buildup will use significantly less energy to operate and maintain ideal temperatures — overall reducing your utility costs. Cost Savings: When homeowners schedule emergency repairs, they’ll end up spending more money on labor and hardware than they would for routine air conditioning maintenance. Extended Service Life: By keeping your A/C unit maintained and identifying repair needs early, you can prolong the lifespan of your air conditioning system. Better Air Quality and Comfort: Keeping your air conditioner maintained can reduce air pollutants, mold and bacteria growth and can encourage better air flow, improve indoor humidity and produce better indoor air quality. Added Convenience: An unexpected air conditioning malfunction is costly and time-consuming — by scheduling air conditioning maintenance to fit your personal schedule, you can prevent inconveniences. With A/C Contractors, you’re assured the most professional, quality services — our team will arrive at your home promptly. All of our A/C maintenance and repair professionals are fully trained and certified to provide services for all air conditioning unit makes and models. As needed, we’ll recommend system upgrades and provide guidance for any air conditioning solutions to improve your comfort and efficiency for years to come. 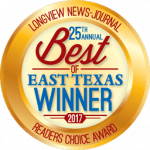 For over 25 years, A/C Contractors have provided the most reliable, knowledgable and affordable air conditioning tune-up services throughout the Longview, TX area. We understand the importance of having trustworthy and helpful local repair technicians to help you with all of our cooling repair and maintenance needs, so you’re assured that all of your services are completed correctly the first time. To ensure consistent quality and superior customer experience, we offer free service estimates, money back satisfaction guarantees and product warranties. Schedule air conditioning maintenance for your Longview or Tyler home today by filling out our online contact form or calling 866-427-7689 to speak to a team member.